Whenever I see the phrase advanced Krav Maga, it irks me. it just totally upsets me. It upsets me to see how far certain styles of Krav Maga have moved from the original idea, from the source. It upsets me how Krav Maga has lost its way and become another commercial martial art. Years ago when I was asked to make a series of Krav Maga DVDs in Germany they said they wanted Basics, and Advanced. This company is well known for their variety of martial arts DVDs and products, but how could I explain to them that there is no such thing as advanced Krav Maga. 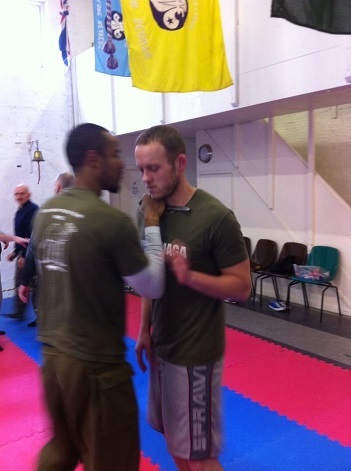 Now of course there are the stages, the steps to learning Krav Maga. Some people are quite uncoordinated, have not done anything physical since high school and have two left feet. So yes, they need baby steps to build them up. There are certainly techniques that such people cannot do on the very first day. But there are those, a little more talented and coordinated, who can do every aspect of Krav Maga from the start. There is no "Advanced" stage, there is only advanced ability to do the same simple techniques. Kuda and Lee at a recent IKI Krav Maga seminar in Widdal, United Kingdom, always going back to the basics, stressing simplicity, because this is the only thing that will work in the real world. When I was a beginning student in the Kyokushin karate dojo in New York there was a hierarchy and an order. First we the beginners did our kata, our pre - arranged forms. We did Kihon Sono Ich, "Basics Number One", and so on. Eventually it was the turn of our black belts. I recall admiring their kata, long sequences that required great memorization, complex moves, jumps and high kicks. I dreamed of the day when I too would be performing the complex and advanced kata of our style. With each rank we moved to more complex and challenging techniques. With Krav Maga, at least with our style IKI Krav Maga, no such creature exists. As you learn more you return to simplicity. In fact the more you learn the more simple are your techniques, and fewer are the steps required. The more you learn the more you realize that there are only a few simple moves, a few simple concepts that can be applied to the countless situations that you might encounter in the real world. We work on feeling the movement and allowing our bodies to react naturally, not on memorization. The entire notion of "Advanced Krav Maga" offends me as it is contrary to the very idea of Krav Maga. Bruce Lee was of course not a Krav Maga practitioner but he had reached the same conclusion, he had the right idea, "simply to simplify". At IKI we live by that statement. The more we advance the simpler we get. 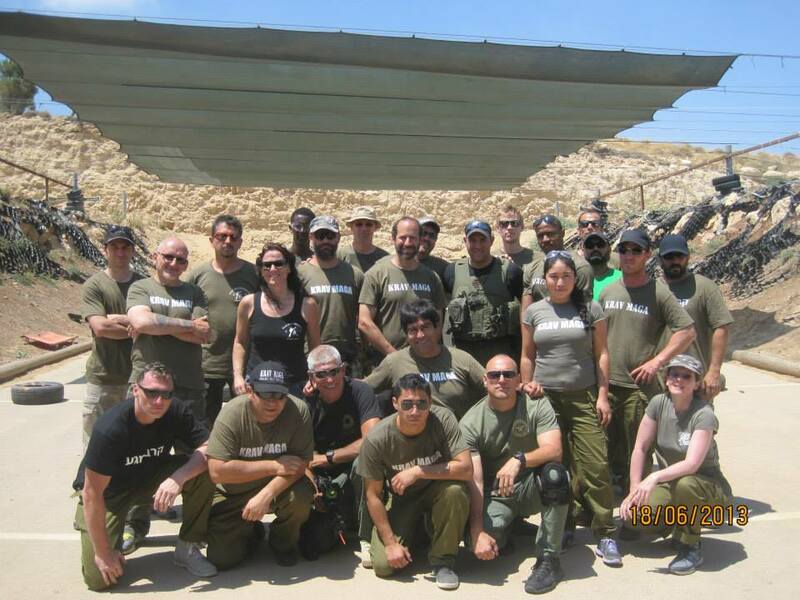 Immerse yourself in Krav Maga in Israel and learn the simplistic truth. Join us for ten days or more days of intensive training. Learn the roots of Krav Maga and how to apply it in any situation. Learn simple techniques that you can apply to every situation. Begin your IKI Krav Maga training right where you are! Join our on line distance program, for more details see IKI On Line Training.